Surprise! No, your eyes do not deceive you, and yes, I am publishing a post a few weeks early! It is spring break for me and while I am still busy creating lectures and grading papers for this new class, I actually have some down time. Plus, I couldn’t resist posting for this week’s photo challenge Favorite Place. Although I have several favorite places, my heart now lies in Hilo, Hawaii. Since that magical trip in January, the warm, tropical climate, laid back atmosphere, and shockingly green vistas have been calling me back. 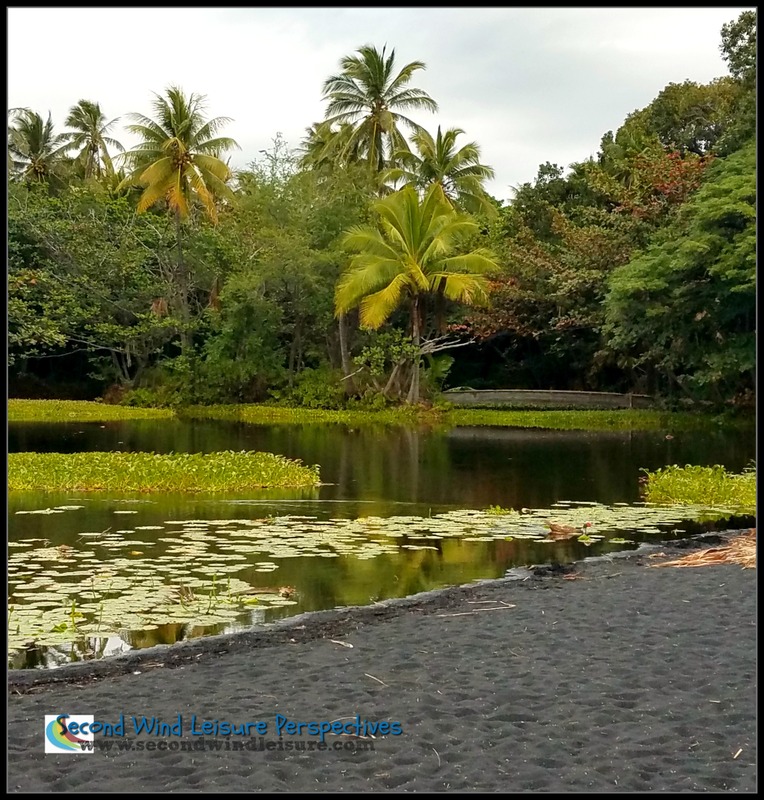 The above featured image shows the serene park setting overlooking Hilo Bay, while the image below captures the lush green plant life near the black sands. For more Big Island photography, visit Graham’s Island. Graham posts beautiful photos of life on the Big Island! Apparently, I must miss blogging because I tend to dream about it. Last night I suddenly got inspired by the now defunct feature, Sunday Stills, a photo challenge hosted by Ed for several years. Notice there are no links because he hung up his blog and deleted his site. My addled and sleepy brain managed to churn out an idea that I am playing around with, to bring back the Sunday Stills photo challenge with the help of a couple of photobloggers! If you are intrigued by this notion, shoot me an e-mail through my contact page. More about this in early April, with the plan to launch the feature in May. For now, think about your favorite place and I look forward to reconnecting with all of you soon! I miss you all and I appreciate you stopping in to say hello! Lovely to see you back on the blog Terri. I adore your favorite places and hope to add Yosemite to mine someday. Would be great to see you bring back the Sunday Stills photo challenge. Hi Lisa, nice to see you in the online world as well! I see you have commented on my last few posts (thank you)! Everything is going well, school is winding down, this semester is on the downward swing (other than grading papers), so my time is freeing up! We bought a new travel trailer and once hubby gets a truck to pull it, we have some traveling to do when not windsurfing. As much as I want to see the world, there is so much of the US I have not seen. I’m excited about reviving Sunday Stills and hope you will find time to participate, Lisa! I’ve also been having a blast on Instagram! I like the Sunday Stills idea too. Nice post. For me it is too hard to pick ONE favorite place. I am just enthralled by everything nature. Thanks, Donna, I will look forward to your participation! Hi Terri, I’m glad you enjoyed Hilo enough to make it your new favorite place. I hope to get over there in the next couple of week to visit the gardens and just enjoy the town. And many thanks for the nice mention. That’s much appreciated. Thanks, Cathleen! I grew up in San Diego, but I love living in NorCal closer to the Sierras. But the ocean is truly inspiring! You know me well! 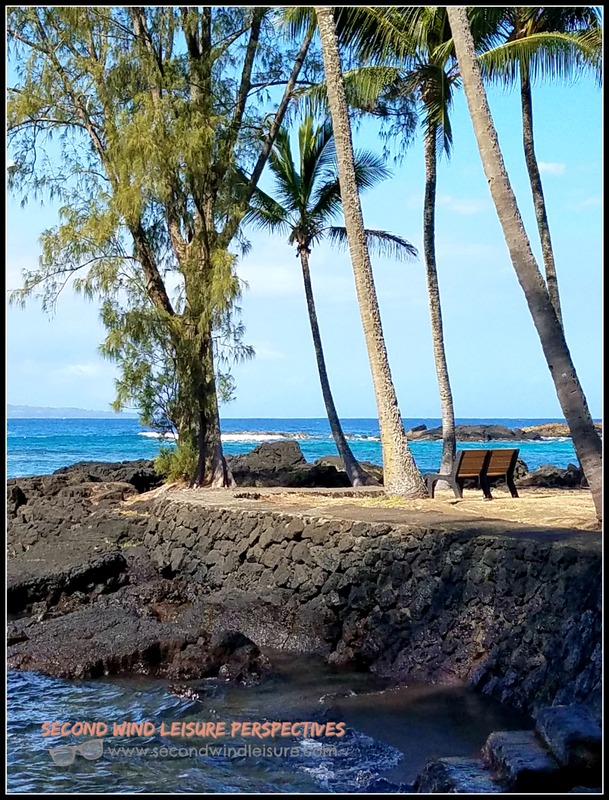 Not sure if I told you, we have a house in Hilo (still only framed-in)…long story, but we are definitely toying with the idea of retiring there. We just bought a new trailer so we need to get some use out of it (and our room addition) before we make the leap to Hawaii! I remember ‘Sunday Stills’ very well, Terri. In fact, it was one of the very first photography challenges I entered. Good to see you back, although I know it may be a fleeting visit until you are back properly. As for those favourite places, they all look superb to me. Luckily, I have visited Yosemite. I miss Sunday Stills, it was an easy photo challenge. Sunday was a good day to post, too. I have a co-host for the feature, but I may PM you for ideas on themes. I need 52 of them, LOL! It was good to see your blog pop up in my email. I love Hawaii too, Maui is my favorite. Your photos are always beautiful. Sunday Stills Revisited sounds like a wonderful idea. Thanks so much, Laura, great to hear from you! Good to see you in my emails! The Big Island is a favorite place of ours too (Yosemite and the Delta are lovely too). 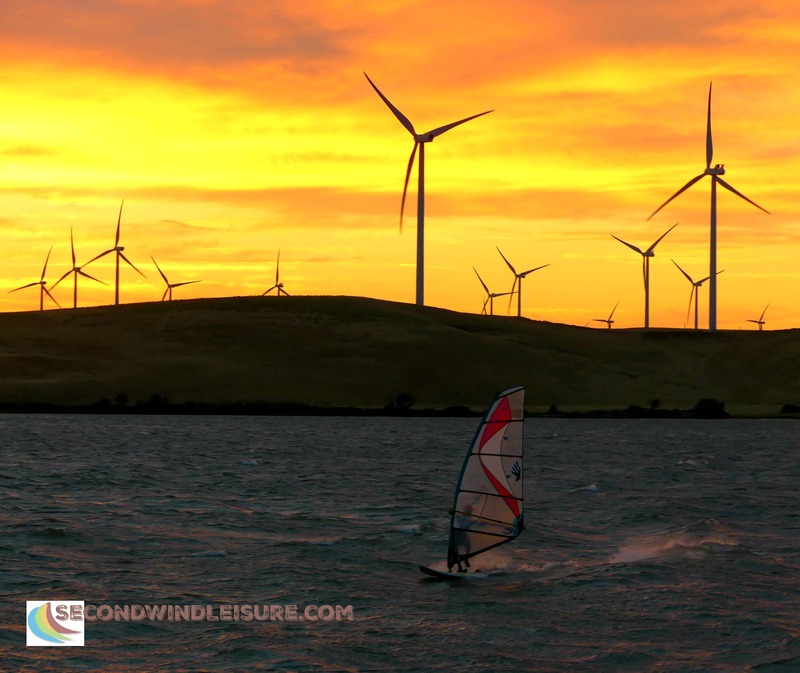 Thanks for the link to Graham’s blog – his photos are gorgeous! It’s nice to be back for a day 🙂 Enjoy Graham’s blog! How lovely to see a post from you, Terri. I am not quite sure what a Sunday still entails but it sounds like fun. Great pictures of fabulous places. It is! Thank you, Lynn! It’s so good to see you in my feed again, Terri!! You visit the best places, and have the photos to prove it!! Thanks, Jodie, that’s very kind of you! 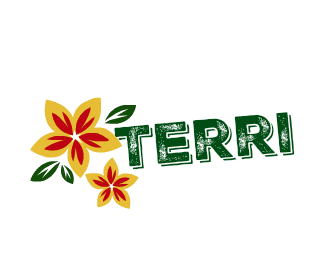 Your blog is a sight for sore eyes, Terri! What a wonderful surprise today! I’ve missed you so, and seeing your photos was just what I needed. It was finally in the low 40’s today in Maine but we still have so much snow! It is discouraging but I know we will be out of the snowdrifts soon. Hugs! We are going to miss this next Nor’easter. Should not get enough snow to shovel. Our neighboring states to the south of us are not so lucky. Whew! We are so snow weary. So yes, send us some sunshine! And so happy to ‘see’ you in my wordpress feed today. Oh, that’s great to hear. It feels like Hawaii with this warm rain, but the winter stuff is on the way to our region. The Sierra ski resorts are loving the late snow! I am very happy you’re back! Yosemite and Hawaii are both on my list of places to visit. So many people talk about Yosemite, I’m so excited to go. It’s really very interesting to see everyone’s ‘favorite place’ today. Thanks, Aixa! I hope you can go someday. I would love to go to some of the places you have been! Oh the Green of Hawaii. 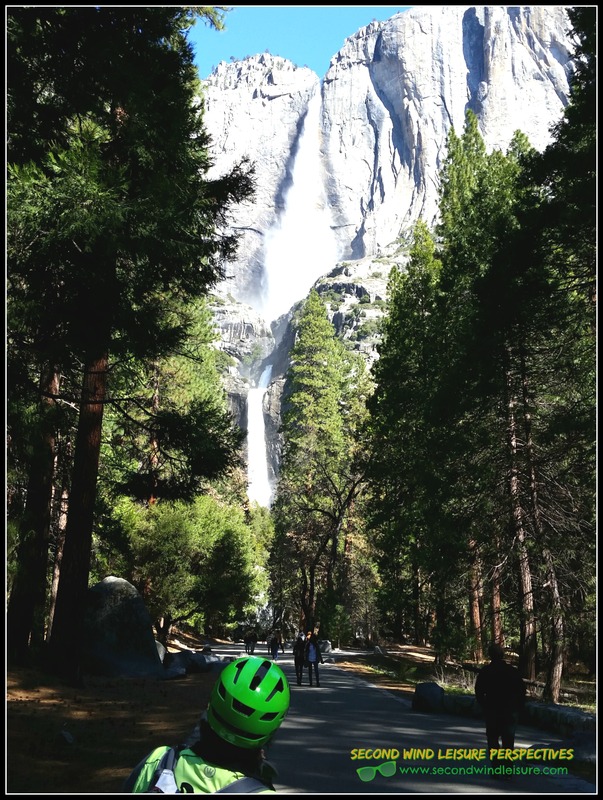 Love the green helmeted husband in Yosemite. Yay! it is good to see you back. Your favorite place looks very much like mine- instead of a bench I have an Adirondack chair and instead of Hawaii I have Lake Mendota in Madison with a willow tree. Water soothes the soul! There is no place where i find myself calmer and more content. Thanks so much, Michele! There were truly so many other wonderful places to be there, but that’s for another adventure! Hooray!!! It is wonderful to hear from you and see your posts and photography again. I’ve missed you! Exciting to hear that you have a new ‘Sunday Stills’ idea. I can’t wait to read/view more! Aw, thanks for such a quick reply, Donna, thank you! I was just about to read your latest post–must be those vibes in the air again!